A quick update from last weeks’ “App of the week” Andrew Fawcett has said there will be a new version of his App coming soon! 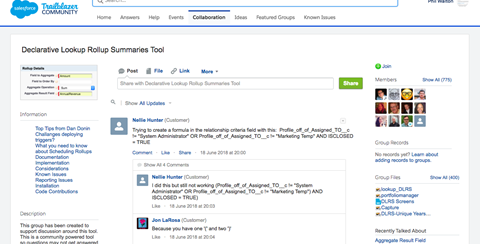 Also he says don’t worry about the listing showing as Private on the Appexchange, it is working well so install Declarative Rollup summary tool as usual. Tip 2 – A new Cloud! 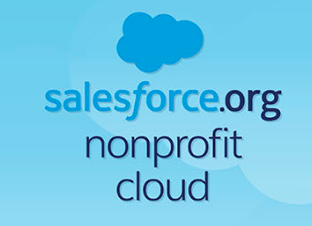 I missed this last month…but it looks like there is a new Cloud offering, the NonProfit Cloud, I am sure we will hear more at Dreamforce! Take a look here for the full announcement. And if you have tried this yourself please drop me a line and I can share some further details with everyone. I read this great post this week from Josh Birk which showed a great example of an IoT requirement, and how this could now be developed using Platform Events. It has motivated me to try the 2 Trailhead badges that Josh has listed on his post…this 40 minute IoT Quick Start and this short project… there goes my weekend!